Research Professor, American Bar Foundation; Honorary Professor, Australian National University; Adjunct Professor of Sociology, Northwestern University. A native New Zealander, Terry received his Ph.D. in sociology from the University of Chicago. He has authored and edited 11 books and many articles on the globalization of law, markets and politics. His most recent books are Transnatonal Legal Orders, co-edited with Gregory Shaffer (Cambridge 2015), Criminal Justice in China: The Politics of Lawyers at Work, with Sida Liu (Cambridge 2016), and Global Lawmakers: International Organizations in the Crafting of World Markets with Susan Block-Lieb (Cambridge 2017). He has taught and/or been a visiting professor at the University of Chicago, Oxford University, Northwestern University, and the Australian National University. 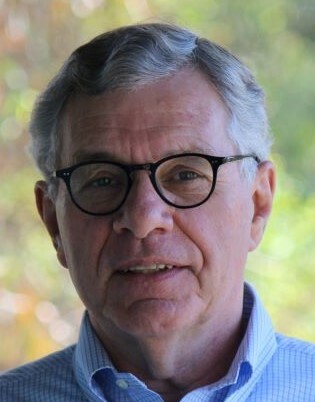 Terry serves as an academic volunteer with IFES and leads retreats and workshops on engaging the university in the US, Australasia, Europe, Africa and Asia. An elder in the Presbyterian Church USA, his avocations include biblical exposition, hiking and snow-shoeing, surfing and fiction. He is passionate about finding fresh ways for Christian students and scholars to think Christianly about all aspects of academic life on campuses and in scholarly worlds beyond the campus.